Pickup from Port of Tauranga / Mt Maunganui after your ships arrival, and return drop off in plenty of time for ship departure. 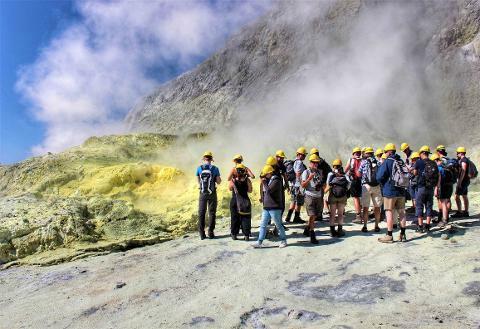 The White Island Tour is an Exclusive Shore Excursion from the Port of Tauranga, including all transportation to and from your ship and lunch. (Typically departs at 8am - times are adjusted to suit each ships port schedule, ensuring maximum time on White Island and guaranteed return on time to ship). 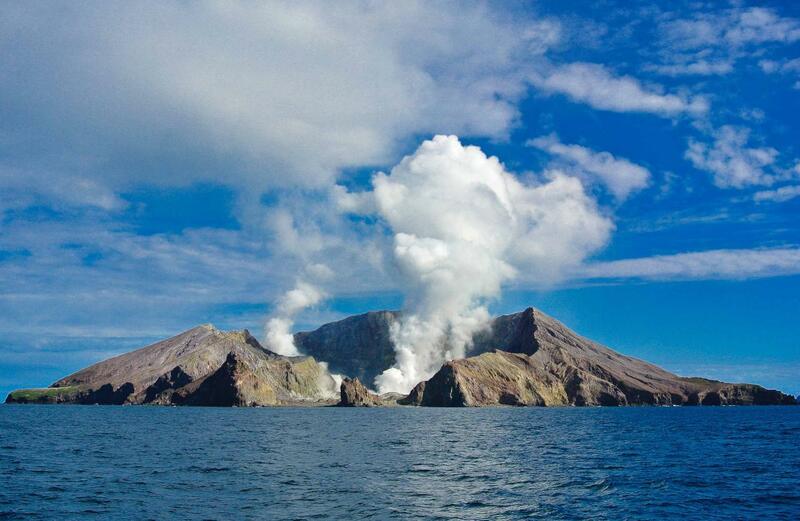 Journey to sunny Whakatane for a scenic boat ride along the picturesque Bay of Plenty to White Island for an unforgettable guided tour of New Zealand’s most active marine volcano. On arrival in Whakatane from the Port of Tauranga (at Mt Maunganui) debark your land transport and board your catamaran for the journey out into the Pacific Ocean. Along the way, enjoy some interesting commentary from your skipper & crew – and keep an eye out for marine wildlife! Sightings are not guaranteed, however you may see whales, dolphins and interesting marine birds along the way. 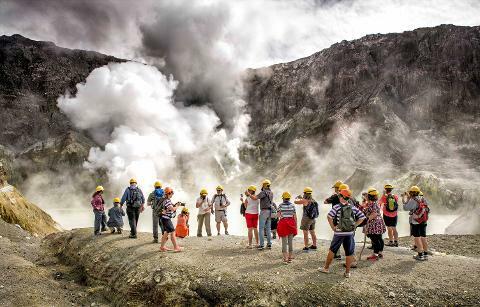 As you approach White Island, the coastline you have left behind falls away from view, and you feel that you are definitely in another world away from the mainland… It is likely you will first see the volcanic gasses venting from the crater of White Island before the island itself! Coming up to the island, your boat will position itself close to a sheltered bay and jetty… and will deploy a platform and special Zodiacs… Grab your helmet and gas mask and hop aboard! These inflatable crafts take you from your boat where you will debark and climb easily to the jetty. 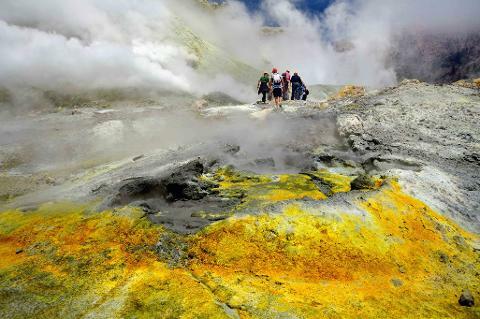 The vivid hues of yellow and orange resulting from all sulfur on the island make for remarkable photos, so have your camera ready. 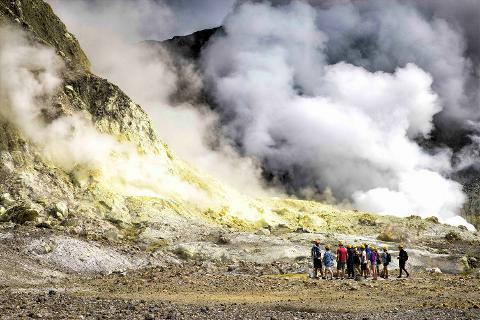 At the conclusion of your time on White Island, return to your boat the way you came and enjoy a packed lunch during your return journey to Whakatane, before returning to the Port of Tauranga to reboard your cruiseship.